The last few years have been relatively quiet for fans of Matthew Houck, who records as Phosphorescent. But for the musician, the last few years have hardly been uneventful. A short period filled with numerous life-altering events helped lay the foundation for his new album, the first for Houck in five years. C'est La Vie is a dense, somber affair from the Alabama-born Houck, but not a depressing one. It rises up and peeks at the sun shining outside, but just once or twice. There are a lot of life changes to examine under a haze of synthesizers, pedal steel guitar, and streams of voices. The new album is bookended by two moody instrumentals: a brief opener, “Black Moon/Silver Waves,” and a sprawling finale, “Black Waves/Silver Moon.” The sound is critical to the vibe of C’est La Vie, as with its centerpiece: the eight-minute rocker “Around The Horn.” The song strengthens the weight of the album’s overall message. He writes about a holiday spent in Australia in “Christmas Down Under,” where he learned how to scuba dive. The underwater environment that Houck witnessed also opened his eyes to life that is on this planet, but lies just out of sight. "Beautiful Boy" recognizes beauty that directly within one’s reach; in this case, Houck’s baby boy, who was born after his move to Nashville. His daughter, who was born while the family was still in New York City, has her moment too, on the album’s upbeat “New Birth In New England.” During that tune's choir-filled bridge comes the sound of his daughter’s heartbeat, taken from her first sonogram. C’est La Vie is mostly Phosphorescent’s solo creation. He wrote all of the songs, produced the album, and throughout, he plays guitar, bass, keyboards, and handles most of the layered vocals. His wife, the composer Jo Schornikow, contributes significantly and plays keyboards on most of the album. 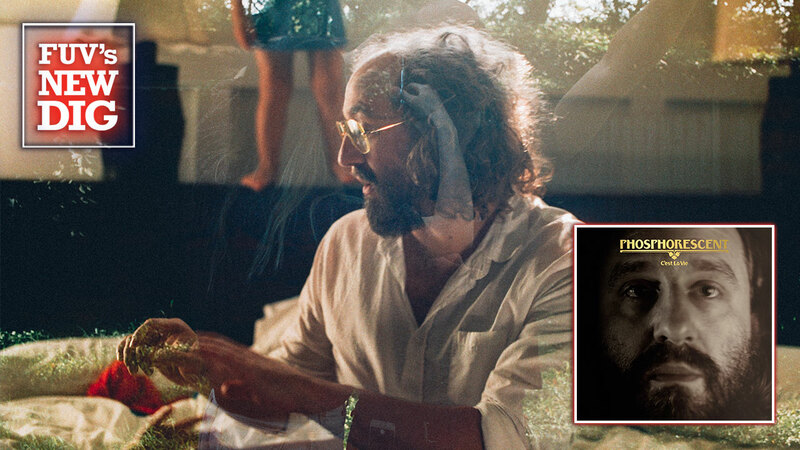 Phosphorescent draws upon his own life changes to feed his new album; those personal reflections add a deeper layer to the musician's catalog, which traces back to his 2003 debut, A Hundred Times r More. He touches on the types of things that we all experience, which makes this release relatable to everyone. After all, life is going to happen, so c’est la vie. Listen to a brand new FUV Live session with Phosphorescent's Matthew Houck on Tuesday, October 24, at 8 p.m. on 90.7FM, also available on-demand.